Woven fabrics are the most basic and versatile of all fabrics, and their overall stability makes them the best choice for beginning sewers. Not all woven fabrics are equal however, and it is important to understand the basic characteristics of woven fabric and how the fiber content affects them. These characteristics will affect not only how easy the fabrics are to handle, but how they drape, if they are prone to wrinkle, and how durable they are. Medium weight 100% cotton fabric, the kind that fills the shelves in the quilting section of the fabric store, is generally the best choice for beginning sewers. This fabric tends to hold its shape, it lies flat, isn’t slippery, creases well when pressed, and takes a needle easily all of which will help to make your first sewing experience a positive one. Woven fabrics are produced by the interweaving of horizontal threads, called the weft, and vertical threads, called the warp. These crossing threads make up what is called the grainline of the fabric. The warp thread is generally the stronger of the two and least likely to stretch out of shape, so it is important to remember which is which. Most sewing projects should be cut on the grain because that is how the fabric is the most stable. 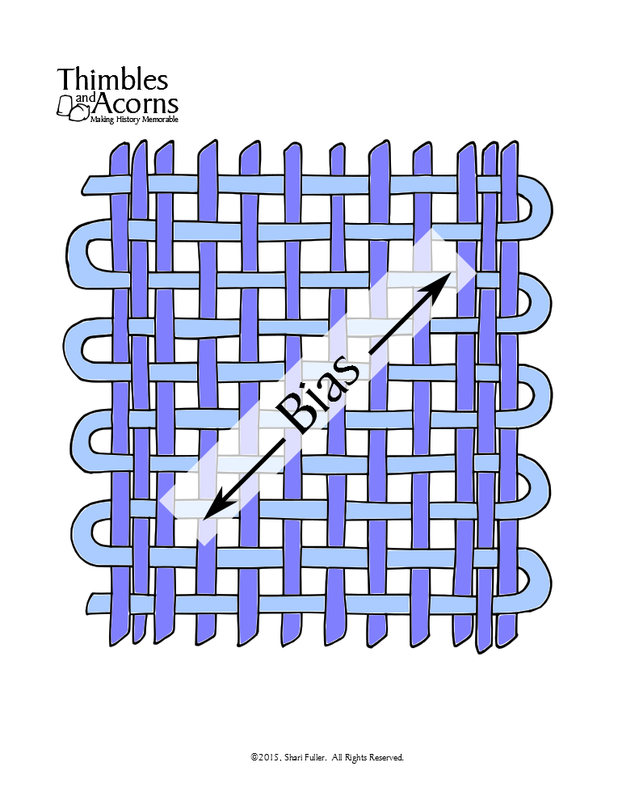 The grainline, which is marked on pattern pieces with a double sided arrow, should be aligned with the warp threads. 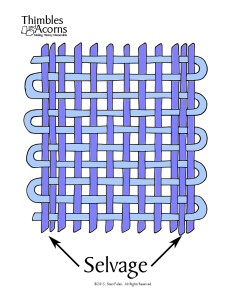 Every woven fabric has a ribbon like edge called the selvage running lengthwise along each side. When choosing fabric, always be sure that the weft yarns are perpendicular to the selvages; this indicate that the fabric is on grain. An important consideration because off grain fabrics and won’t hang properly. The bias of the fabric runs at an angle from the grainline, with the true bias being at a 45 degree angle. The bias of the fabric has a moderate amount of stretch, a unique quality that can be useful in certain applications. Bias cut fabric has more drape to it. Thin strips of bias cut fabric, known as bias tape, wrap neatly around curved edges. Wider strips can be used to make un-hemmed ruffles because bias cut fabric doesn’t fray as much as fabric cut on the grain. 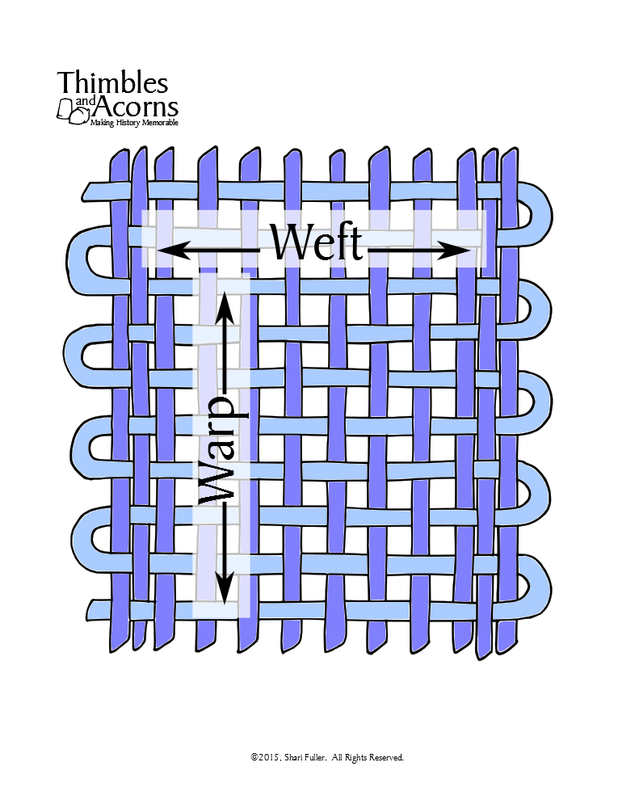 The warp and the weft can be woven together in some variation of three basic weaves; plain, twill, and satin. Plain weave, the simplest style, has the weft threads going alternately over and under each warp thread, creating a sturdy fabric. 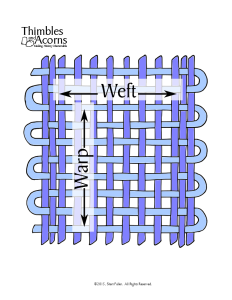 Twill weave, the most durable, has the weft threads passing over multiple warp threads in a pattern that shifts one one step to the right or left with each row, creating a diagonal pattern. The steeper the diagonal ridge, the stronger the fabric. 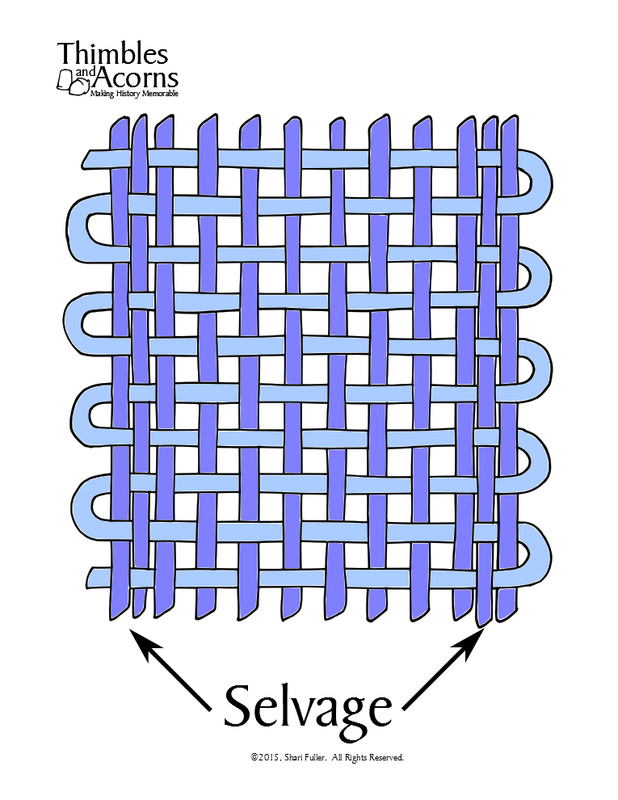 Satin weave has the weft threads passing over four to eight warp threads in a staggered pattern similar to twill. The longer threads exposed on the surface, called floats, give it an elegant sheen. Although this weave makes a strong fabric, it isn’t as durable in that it is prone to snag.